Real Living has featured thousands of homes to date, but there are definitely some favorites among our readers and fans. It is interesting to note that almost 15,000 more readers clicked on detached houses and townhouses than on condo units in 2017. It could be that we are all looking for our ultimate dream home peg. 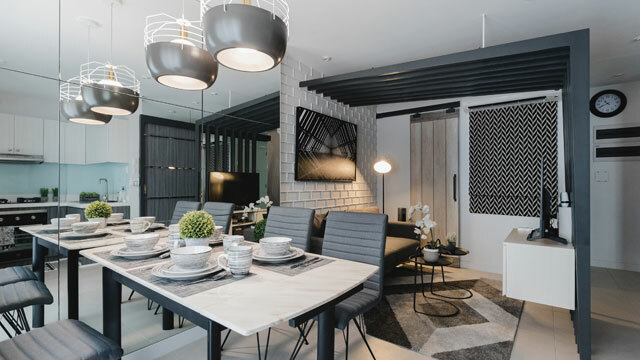 In spite of this Quezon City townhouse's 72 sqm floor area, designer Anla Li Tan gave the interiors a distinct, sophisticated touch with well-defined spaces, sleek, urban furniture, and a crisp, black-white-gray color palette. Architect Angelo Siochi was presented with a challenge with this Antipolo home: the house itself had to fit the "American-inspired" requirements of the developer, as well as fit into the tropical milieu. 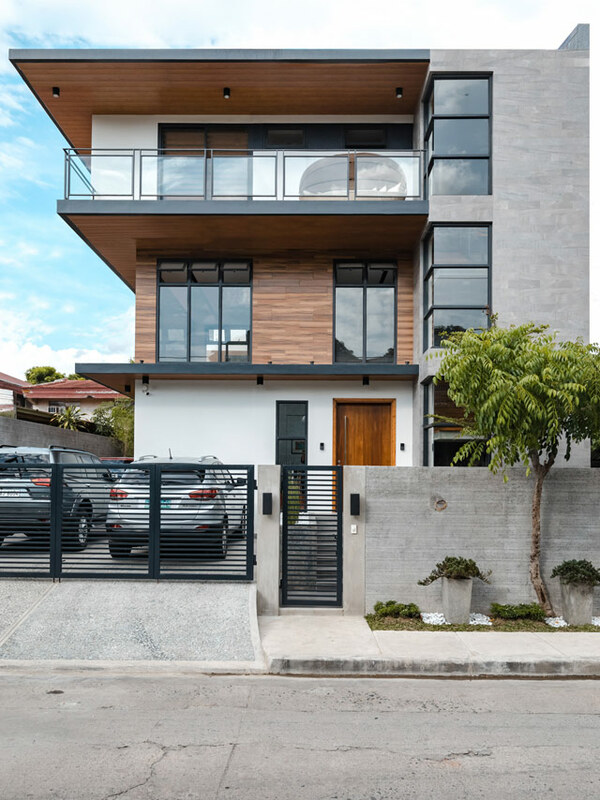 His solutions: shiplap-style exterior cladding, a clean, modern facade, and stylish, Filipino-designed furniture. 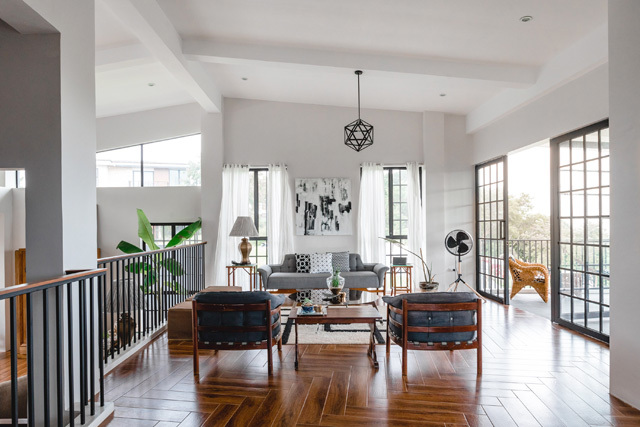 Interior designer Wilan Dayrit and architect Reyno Basilio took on a Pampanga home's Brutalist, midcentury details and played on those details instead of ignoring it. 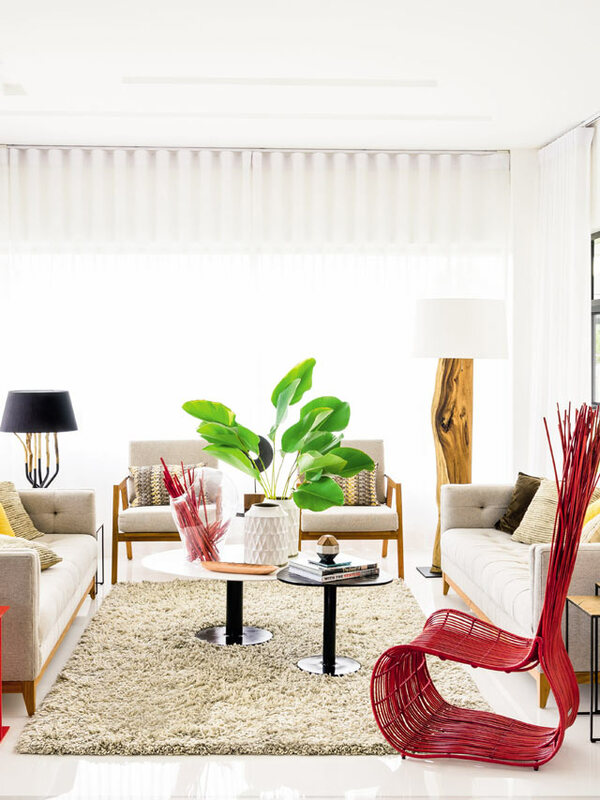 The end result is an updated midcentury family home that is light and airy, and furnished with designer pieces by the likes of Kenneth Cobonpue and Triboa Bay Living. 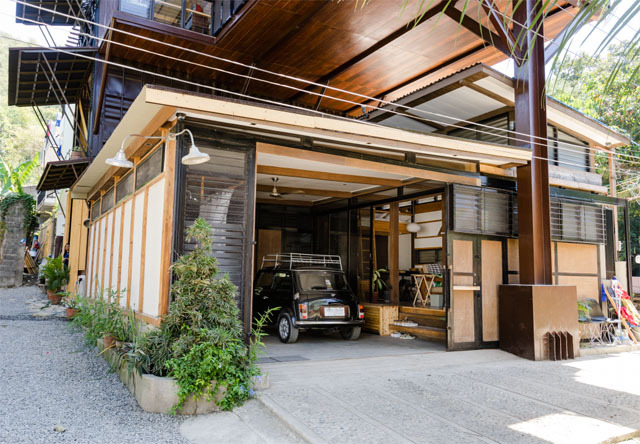 Architects and surfers Buji and Nikki Libarnes started this La Union home with a dream, a Kombi van, and a single shipping containter on an empty lot. That single shipping container became their home, completed with small-space-smarts, and a Japanese-California aesthetic. The container van concept also gave birth to one of the most popular hostels in La Union, Vessel Hostel. Our ideas of weekend or vacation homes are usually nipa hut-type beach houses or quaint, country-style cottages. 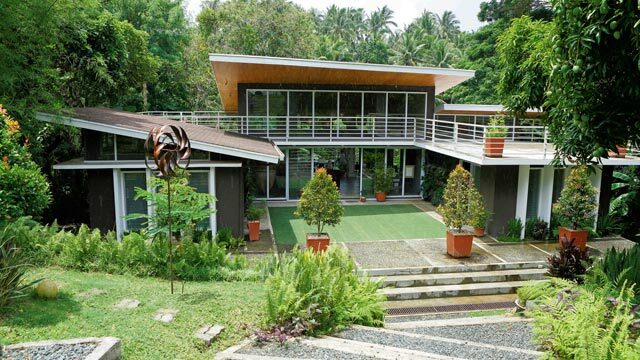 Not so with architect Joey Manalad's own family rest house in Batangas, which he designed with simple, midcentury modern influences in mind, but with an open, no-gate exterior which took advantage of the site and the beautiful tropical garden. This home marked the start in our readers' interest in modern-minimalist homes. 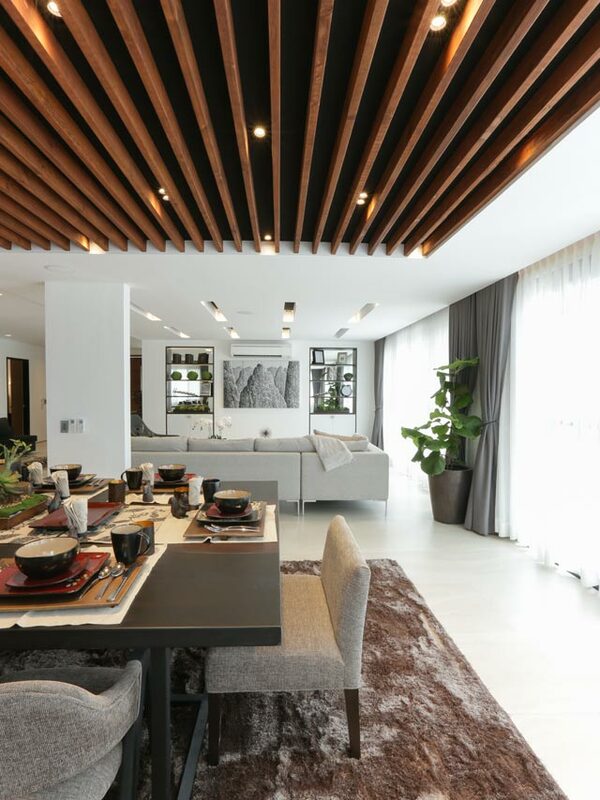 Architects Agatha Rodis, along with Justin Espejo and Paolo Balatbat of the aptly-named Minimalist Manila, created this modernist marvel with an interplay of concrete, wood, and glass, horizontal lines, high ceilings, and a slight nod to midcentury interiors. Homeowners Leo and Che Nicolas didn't want to have a cookie-cutter home, so they took to Pinterest and Real Living for inspiration, and called on architect friends from ARQON to come up with this amazing abode. 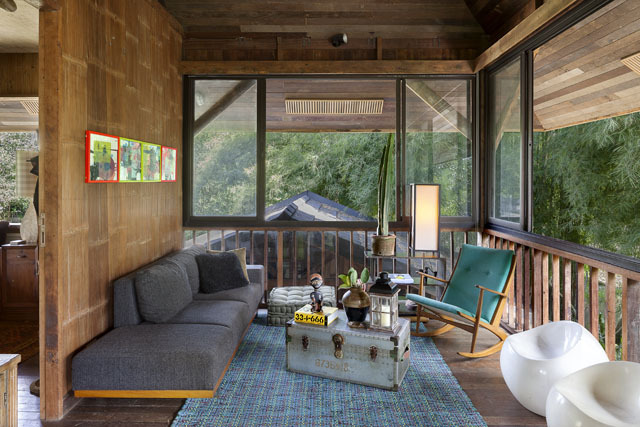 What readers loved about it: the cool, minimalist-modern cast-in-place concrete shell with wooden details, and the hip but sparse, vintage-inspired, rustic-industrial interiors. Click here to see more photos and the view the complete home tour. Noted interior designer Wilmer Lopez of W. Lopez Designs and Space Encounters is known for his midcentury modern style, so it was quite a surprise to see his vacation home in Nueva Ecija. 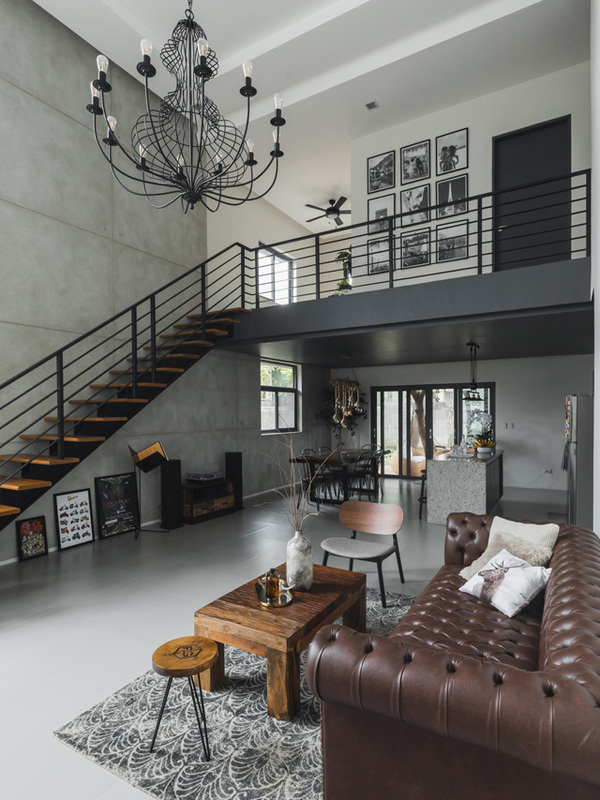 The home is a unique medley of raw, industrial modern details, traditional bahay kubo features (bamboo walls, capiz windows), and the designer's references to his travels, Space Encounters' many reincarnations, and his childhood memories. 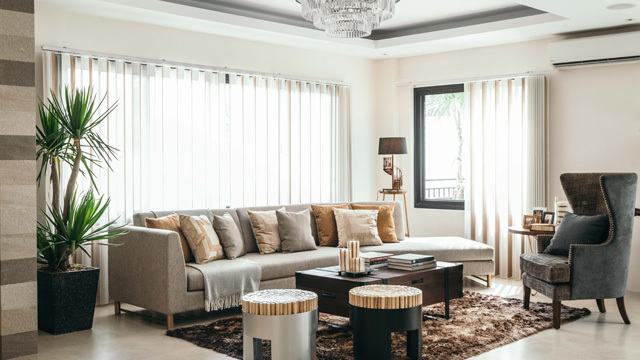 This sprawling (an understatement, actually) Cavite home has so many luxe details: designer furniture and decor, an enormous kitchen, hotel-like bedrooms and bathrooms, and a soothing Zen garden on the roof. It's the ultimate dream home, and readers clicked on it to get serious #homegoals. 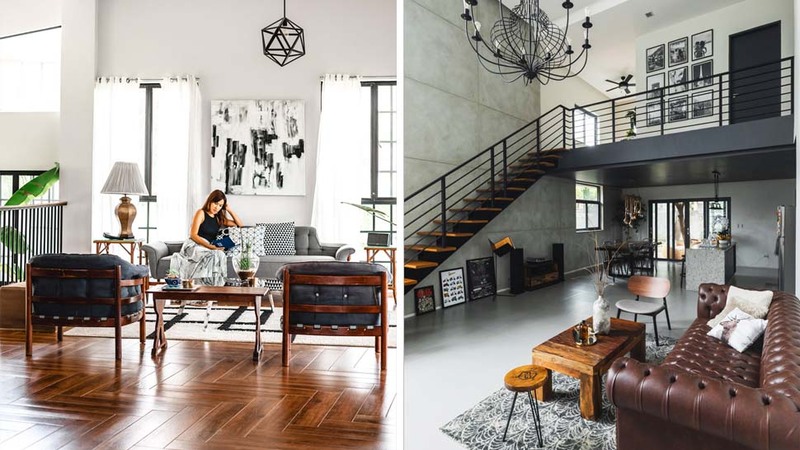 Is it any surprise stylist Donna Cuna's Cavite home was the most-viewed house for 2017? Dubbed by the homeowners as "The House That Faith and Grace Built," they scrimped and saved most of their married life to create an airy, dream home with family-friendly spaces, contemporary-modern lines, and a beautiful view. What our readers loved about it based on the Facebook comments: the eco-friendly features (it's completely solar-powered), affordable decorating ideas (almost all the furniture were picked up as bargains from secondhand selling sites), and can-do DIY details. Good job, Donna!